As a parent, watching joy overcome your child is a heartwarming happiness like nothing else can provide. Giving them an experience that will bring excitement, fun and indulge their adventurous spirit is one of the best parts of parenthood and it’s where precious memories (and thousands of photos on your phone!) are created. Whether it’s as simple as bringing them to the beach for the first time, taking them to a new park or just watching trains go by – we live for these moments! The thrill, the glee and most of all, the smiles. 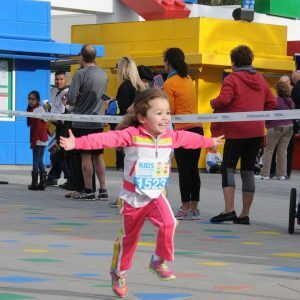 The Kids Marathon Mile at LEGOLAND® is a unique event that encompasses both happiness and health and offers families a unique day of adventure they can experience together. 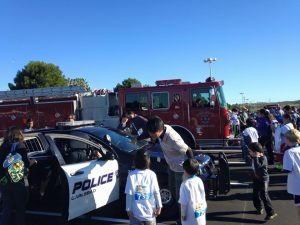 It takes place every January, as part of the Tri-City Medical Center Carlsbad Marathon race weekend. The perks start when you park in the LEGOLAND® parking lot for FREE (a $20 savings!) – already winning from the start. When you enter the event space, you immediately walk into a party. 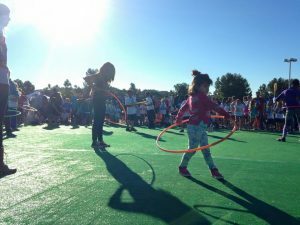 Family-friendly music is blaring, kids are dancing and hoola-hooping, giveaways are happening at the booths – and then you spot the coffee cart. Win #2! 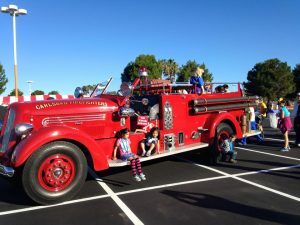 The local Carlsbad Police and Fire Departments bring their vehicles out for kids to admire along with an antique fire engine that kids can climb around on. The kids are always a little star struck because let’s admit it, no matter what your age, it’s always a thrill to meet our local heroes! As 7:45 a.m. approaches, you’ll be encouraged to make your way over to the staging area, where kids are organized by age group and have the option to run, walk or stroll through their race with one or two guardians. 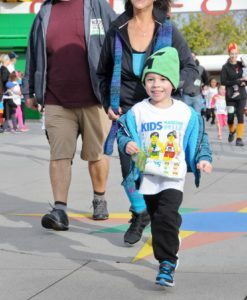 Kids get to experience the exhilaration of the start line, where they’ll hear “on your mark, get set, GO!” and take off towards LEGOLAND® through a cheering crowd, surrounded by parents and peers. The childish innocence and beaming smiles that come through the start line is a sight not to be missed! 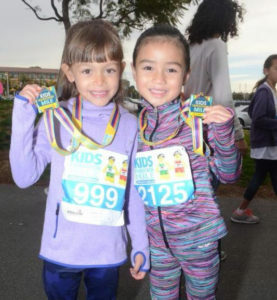 As your child nears the finish line, they’ll be greeted by cheering spectators and exciting announcements of “Congratulations!” and “You did it!” from the announcer. They will proudly run through the finish line where friendly volunteers will drape a shiny Finisher’s medal around their neck. Once again – that smile will be radiant. 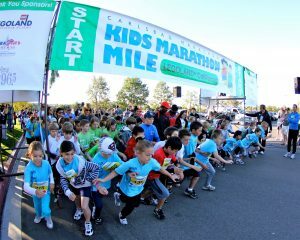 If you’re running the Tri-City Medical Center Carlsbad Marathon, Half or 5K the following day, your child will have a new connection with “racing” and watching you cross the finish line will be THAT much more meaningful to both of you! 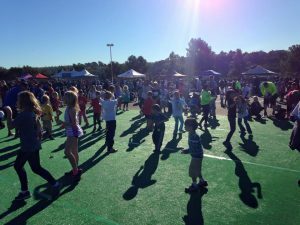 After the race, the fun activities, giveaways, music and dancing will be back in full swing where your little one(s) can explore and celebrate their accomplishment! 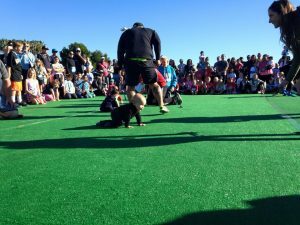 At 9 a.m., those that aren’t walking yet can enter the Healthy Times Diaper Dash where parents will encourage their babes to scoot or crawl across the play mat to the finish line. Often enticed by their sibling’s shiny medal or maybe a line of cheerios, you’ll want to place your bets and watch this nail-biting finish! For those that took part in the Marathon Challenge Program, a final signature and certificate of accomplishment can be attained in the festival area. This is a really cool opportunity to instill fitness in your child’s routine starting now. 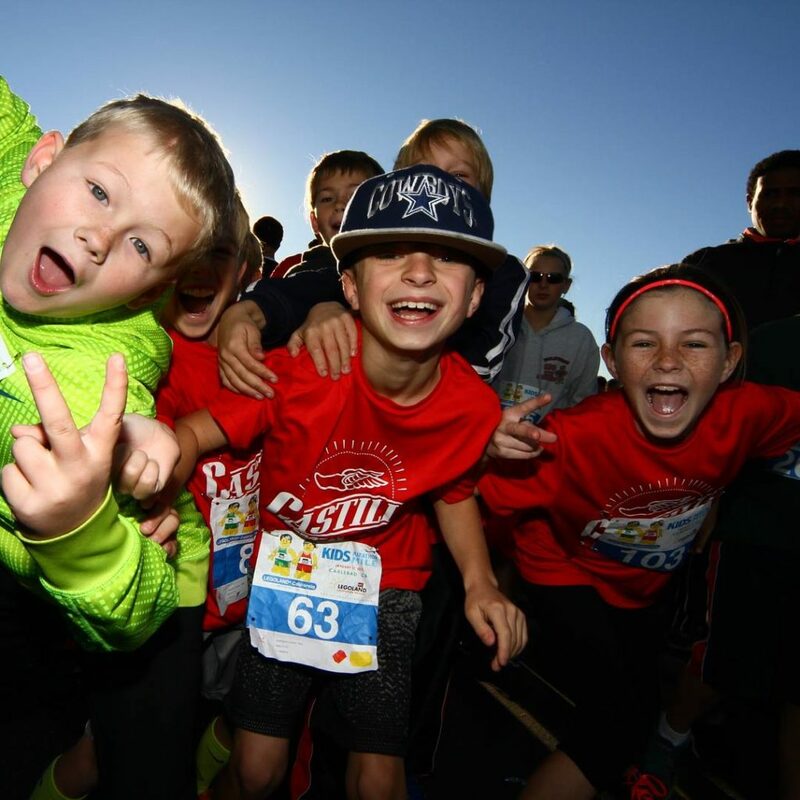 Between now and race day, your child has the goal to run 25.2 miles, and they can log their mileage and get signatures on the event’s training log. On race day, they will complete their final mile at the race, running a total of 26.2 miles – a full marathon! The certificate of accomplishment they’ll receive is a special takeaway they can display proudly to commemorate their hard work and dedication. When you’ve had your fill of fun, get ready to take on some more excitement – it’s LEGOLAND® time! 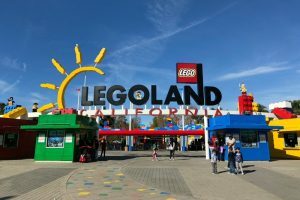 Along with an event T-shirt and race medal, children ages 13 and under also receive a FREE 1-Day SEA LIFE™ Hopper ticket to LEGOLAND® California and SEA LIFE™ Aquarium (A $115 value valid 1/19/19 – 2/9/19) with their entry, plus a coupon for 40% off up to four (4) adult 1-Day SEA LIFE™ Hopper tickets. And did we mention the race entry is only $25-$30??! Seriously an amazing deal. If you head to the park right after the race, there’s no need to move your car, just walk on up to the entrance when it opens at 10 a.m. If you don’t go that day, you will have until February 9 to use the free ticket and coupons, but there will be a parking fee. Oh, and one more BONUS – the event takes place on Martin Luther King, Jr. holiday weekend! We all know how an exciting day can be followed by exhaustion, so enjoy an extra day off to recover. Plan to join us Saturday, January 19, 2019!